Water damage is nobody’s idea of a good time, and though there is a certified water damage New Jersey company available 24/7 to respond to any home flooding or water damage scenario, you would rather spend your time and money on other things. All too often homeowners will think they have taken enough preventative steps to reduce their risk of having to utilize water damage restoration services but they forget to cover all the bases. While installing sump pumps, checking your plumbing and appliances, and altering your property’s landscape to fight against floodwater is fantastic, people forget their roof. Your roof not only keeps your home dry; it also serves as a major structural element to your home’s integrity. By keeping it dry and in tip-top shape, you can rest assured that your home will likely follow suit! If you see moss or black algae it is a sign that you could have roof decay underneath and it isn’t just an aesthetic eyesore. As the mats and wood decay the structure can rot and cause mold growth. In heavy rain water can find vulnerabilities and leak down into the home. Any water damage New Jersey pro will advise you to be thorough in your roof inspection and to call a professional is you notice anything that doesn’t line up! Replacing the roof is a hefty expense, but you will get most of it if not all of it back in equity through the increased re-sale value of your home. If you have an asphalt roof that is more than 15 years old you will want to think about having it replaced. The national average cost for replacing an asphalt shingled roof with a new one is just over $18,900 as published in Remodeling Magazine’s 2014 Cost vs. Value Report. They go on to say you will recoup an average of 67.6 percent of that back on the re-sale value of your home. The water damage New Jersey experts remind us that for more expensive, high-end materials like standing seam metal the national average skyrockets up to $34, 495! You can protect your roof by inspecting your gutters and downspouts. Get a ladder and climb to your roof with a bucket in hand. You can use a small garden trawl or your gloved hand to scoop out the debris and sludge from the gutters. When gutters become blocked rainwater will have no place to travel and can pool on the roof causing damage. In other cases it could run down the side of the house and flood the foundation. 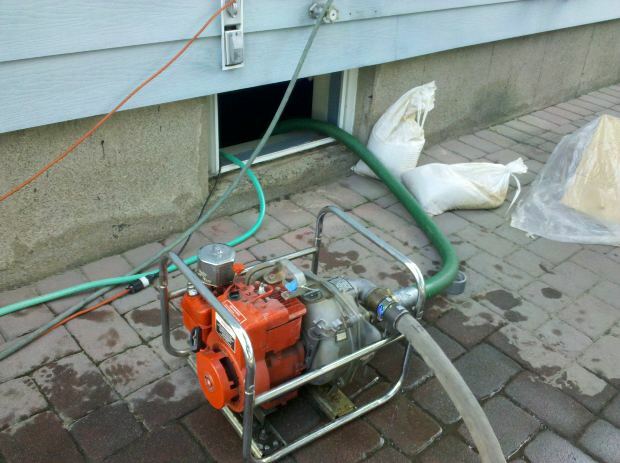 The top water damage New Jersey technicians remind us that downspouts should also be cleared and aimed away form the home. By keeping an eye on your roof you can help fight water damage risks! Be kind to it, and your home will thank you!